There is almost nothing as perfect as a fresh, juicy, strawberry. When you dip them in velvety Belgian Chocolate, they are absolutely perfect. 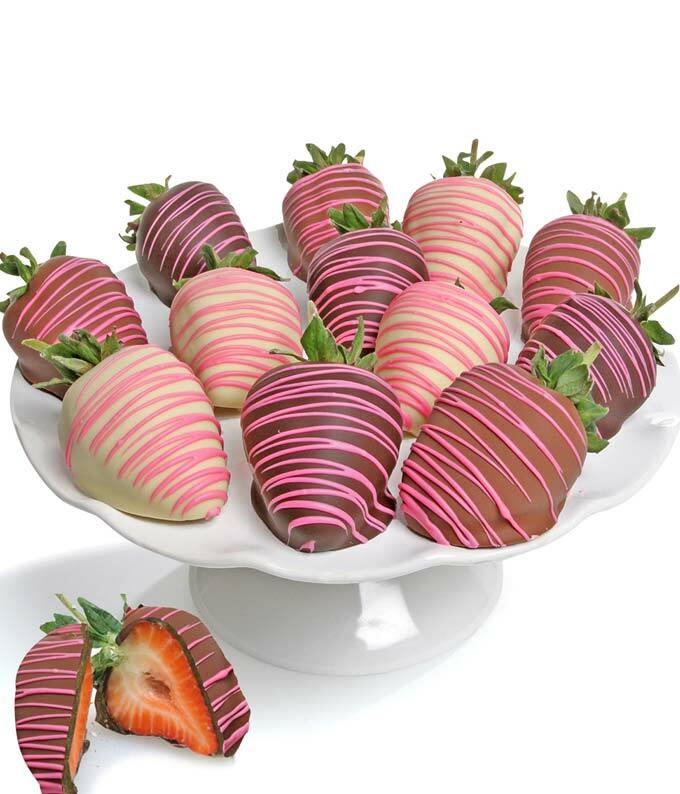 This delicious gift is made by dipping delicious strawberries in white, milk, and dark Belgian chocolate and then drizzling them with a pink accent. Great for a birthday, anniversary, or Mother's Day, give them a gift that is both beautiful and delicious.